Recently, I’ve been finding great use however for printing a chapter or two of the eBook I’m reading. WHY DID I WANT TO PRINT A CHAPTER OUT OF A KINDLE EBOOK? Most recently, I was on a long flight and I had my Kindle out, reading a particularly engrossing book called “I Killed: True Stories of the Road from America’s Top Comics“ about the stories comedians have collected while on the road going from city to city, and despite the low wattage consumption of the Kindle’s digital ink electronics, I was sternly told to immediately shut the device down because we were about to take off. So for the next 20-30 minutes while we left the gate, puttered around the tarmac, and climbed to 10,000 ft, I was to be held captive to SkyMall? Not me… printed chapter to the rescue! 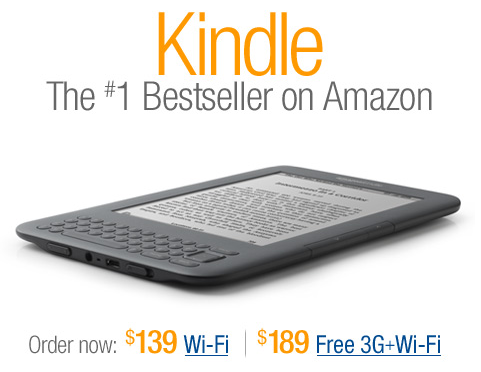 Using the early versions of Kindle for PC makes this possible. Newer versions are more difficult to deal with apparently – hence the reason I used the 1.01 Beta which is freely downloadable from FileHippo. These tools are stored in an archive called “tools_v2.2a” and contain Python scripts that strip the DRM off of .MOBI formatted eBooks that my Kindle reads. I unpacked the contents to a directory called "\tools_v2.2a” – including the directory hierarchy. I have to admit that despite knowing very little about Python, the power of these scripts that are run in an interpreter is very impressive. There is no binary code involved in the DRM stripping process outside of the Python runtime engine which should have been previously downloaded. 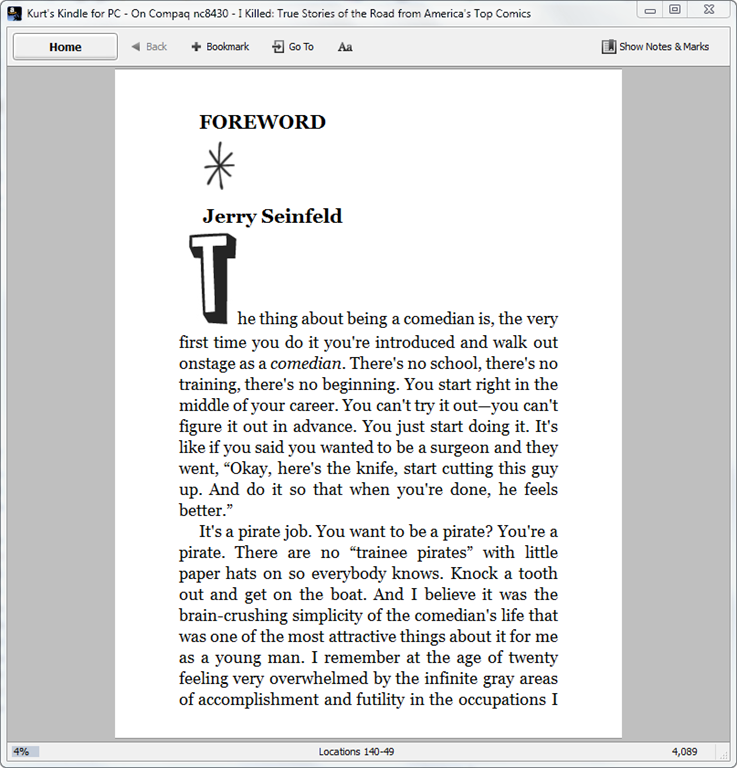 This is, among other things, an eBook conversion tool that converts Kindle eBooks (.MOBI files) to other formats, namely Rich Text Format (.RTF files), a Microsoft Word readable & printable format. (NOTE: When I clicked on the download link for Windows, I discovered that the browser doesn’t appear to do anything for a while. The web site did something odd which is to immediately start downloading the entire 36.5MB software package to my machine over HTTP I got no notification that this happening. Once it was downloaded, a dialog box appeared on my screen asking if I wanted to save the Calibre installer package file and where I wanted to save it to. Once I selected a folder to save the package, it immediately moved the downloaded file to the selected folder and was done. 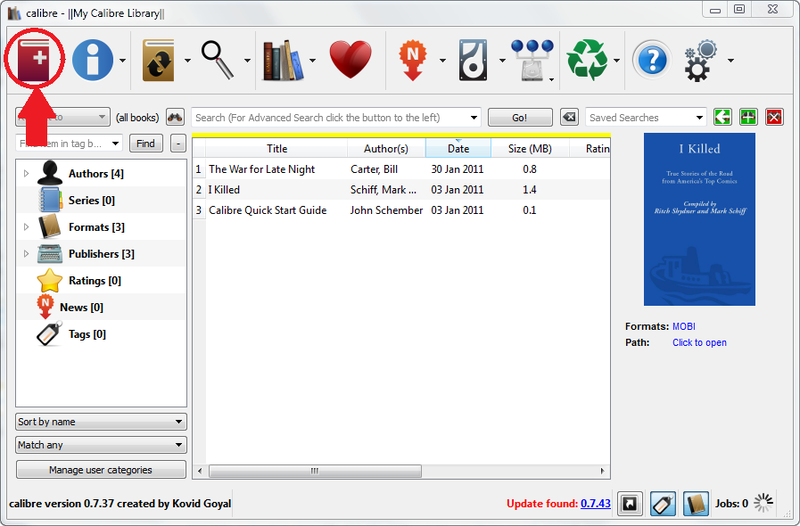 Once you’ve installed Kindle for PC, I signed in and downloaded the books I had access to. Test that you can read the books within the desktop reader: If you can’t read the books on the PC, you won’t be able to decrypt them. 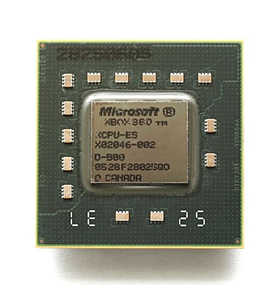 I ran the 32-bit version regardless of whether or not you’re running a x64 version of Windows. 64-bit Python won’t run the scripts properly. The “Unswindle” script is called “unswindle_v7.pyw”. It is a little slow but it will automatically open the Kindle for PC application, then wait for the user to open an eBook. Once I did this, I closed the Kindle for PC application & the script continued. 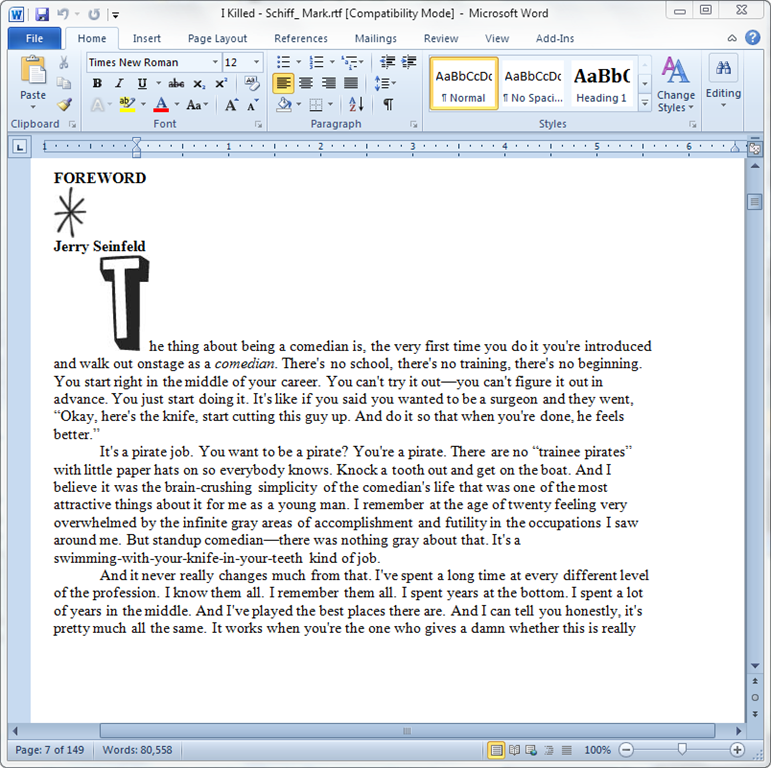 In the background, the Unswindle script captures the key necessary to decrypt the entire eBook. Now that it has that in memory, it can process the eBook, decrypt it’s contents, and write a DRM-free version to my hard drive. 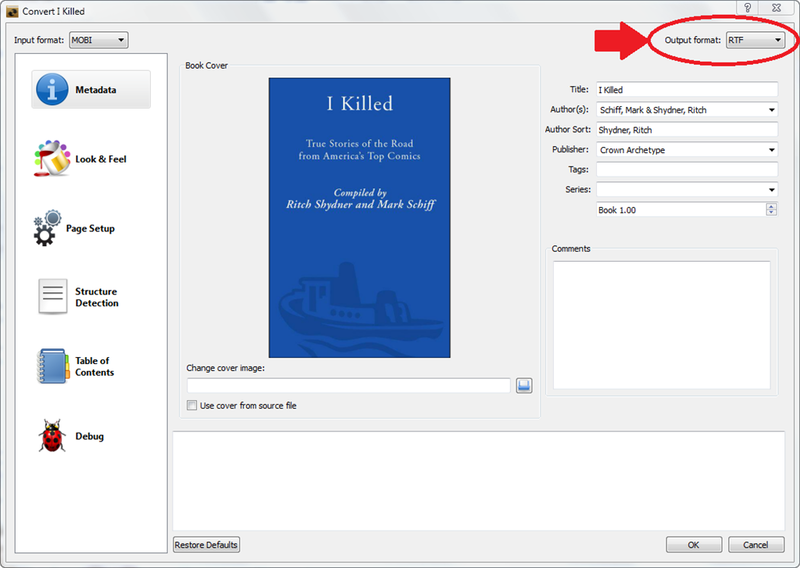 The script will open a dialog box that will ask for the name of the file to assign to my newly DRM-free .MOBI eBook. 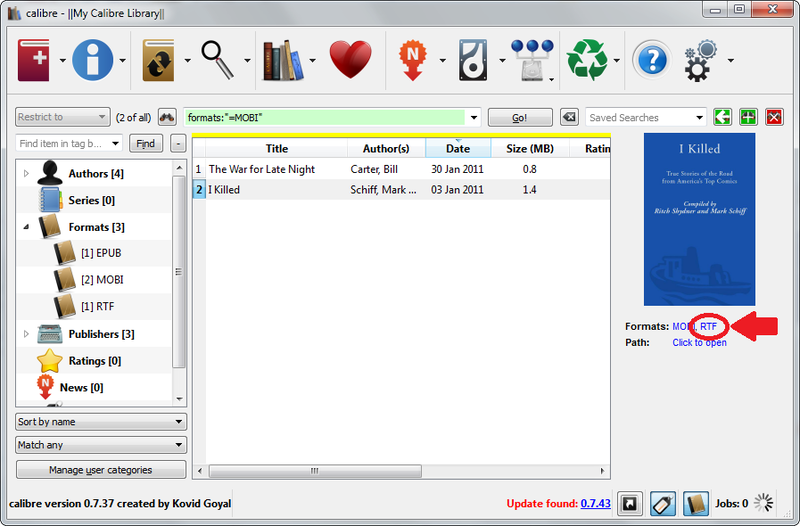 I typed it in and it saved the eBook to disk without any DRM. 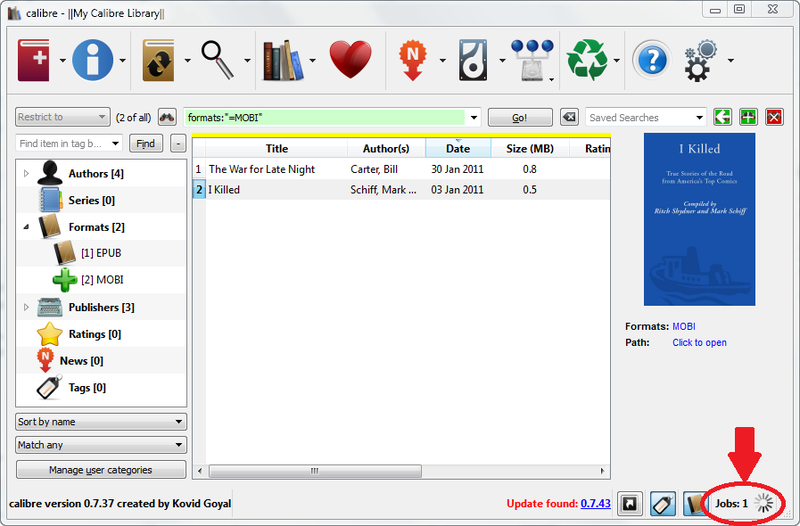 Now that I had the eBook available without DRM, the rest was simple. I had installed the Calibre software previously by double clicking on the downloaded .MSI installer package, at the time called something like, “calibre-0.7.43.msi”. I followed the installer instructions just like any other new software installation. The Calibre software is very easy to use. Begin by running Calibre and keep it on the desktop. I right mouse button clicked on the title I was going to ultimately print. A menu appeared that allowed one to select “Convert Books”. I selected “Convert individually” from there which initiated a new window. I clicked OK. This apparently triggered the conversion process. A “swirely” actively moved at the bottom right hand corner labeled, “Jobs: 1”. When this was completed, it read “Jobs: 0”. I clicked on the book that had been converted: A new “formats” hyperlink had appeared for “RTF”. I clicked on the RTF hyperlink and Microsoft Word started and it loaded up the book… ready to be printed. Now that the book is in a format that can be printed, I was able to have a single chapter on paper to keep in my portfolio for whenever I wanted to read… without taking out either my Windows Mobile/Phone or my Kindle. This is particularly useful when the book’s chapters are disjointed and don’t depend on each other. Printing an ENTIRE book is generally silly because you end up with so many unbound pages as to be simply too bulky to carry. It again warrants reminding people that just because the ability to print eBook content exists, doesn’t mean anyone should ever deprive hardworking authors of their livelihoods. This process was for my personal use only & Wheaton’s Law most definitely applies. For the record, lest you think me biased against an operating system that 99% of the world doesn’t know by name or acronym: I once worked on business critical development projects that depended on QNX. Yes, I know its strengths. QNX is the reason Playbook does multitasking so quickly and the interface is so smooth. Back in my younger days, I worked for the #1 credit services provider in the world (you figure it out) and when you slide your credit card through that terminal at Ralphs/Kroger, your card information matriculates over a phone line (a asynchronous modem primarily back then) through a series of systems and ultimately, if it’s over a certain charge value threshold, gets authorized by the bank that issued the card to you. That bank received the transaction through an Intel-based PC… running the QNX operating system. QNX was chosen back then for its speed & immediacy. It’s actually a really interesting & impressive operating system. 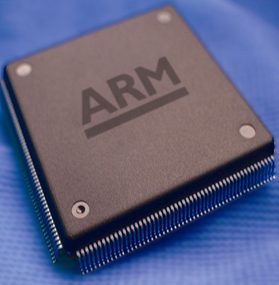 Unlike Windows 7 and most *NIX-based systems, it’s an ultra-quick, real time kernel-based operating system with single millisecond-level latency, suitable for heart regulators & other medical devices, fast twitch financial transactions such as trading floor applications, or mission critical operations on the Space Shuttle. (In this sense, it’s more closely related to Windows CE) The maximum threshold for credit authorization transaction turnaround was 7 seconds so it was critical that there be absolutely no delays between the bank that maintains your credit, and the terminal you swiped your card at. For all its performance, I should point out that QNX has historically had rather raw development tools. Sure it’s gotten more mature over the years but it’s never been anywhere near what consumer electronics application developers get with Apple’s iOS Xcode, much less Microsoft’s Visual Studio Suite in terms of productive development. It’s a fast, tight nimble OS… with very few users. It was said back in the day that QNX – a Canadian company, hence the unsurprising acquisition by another Canadian company (RIM) – lived off the licensing fees from just a couple dozen licensees throughout the world – but because the OS was so absolutely critical to the operations of these licensees (like the aforementioned credit systems provider), QNX never had anything to worry about. Then one day, I guess it got acquired. Not for medical devices. Not for financial transactions. But for consumer phones/tablets. Yup. A solid OS with strengths in performance… specialized vertical industry use cases… now being used for a PDA. It just seem like a square peg in a round hole to me. Y’know, recently I’ve been reading a lot about LG Electronic’s comments regarding Windows Phone 7. “From an industry perspective we had a high expectation, but from a consumer point of view the visibility is less than we expected”, James Choi, marketing strategy and planning team director of LG Electronics global said. When I first read this, something about it bothered me because I just got back from CES 2011 in Las Vegas and in perusing their booth – which incidentally, was one of the top 5 largest in the Central Hall at the Las Vegas Convention Center (it took a couple minutes to walk across it at a steady pace) – and despite allocating about 25% of their booth space to their mobile phone offerings, they had almost no floor space dedicated for their lone US entry into the Windows Phone 7 space as far as I could see. Youi’ll notice that the device on display is BEHIND GLASS. It’s also not even on. There’s no literature available and had no one near it from LG representing the device to talk to anyone about what it does. In fact, the only indicator that it RAN Windows Phone 7 as an operating system was the Windows logo on the glass and the TV ad that ran in the white screen below the logo. Naturally, there was no one interested in the phone at all since they didn’t know what it was. To put this imbalance at CES into perspective, imagine your entire house being covered with Android phone marketing & representatives from LG talking about Android. The walls, the coffee table, the shelves, the cabinets, the windows, etc. would be covered with demos & booth staffers holding LG Vortex devices & other Android phones. Now imagine all of your family members talking to people that come through your house about the Vortex or another Android offering LG has. Understand why I’m a little tweaked? 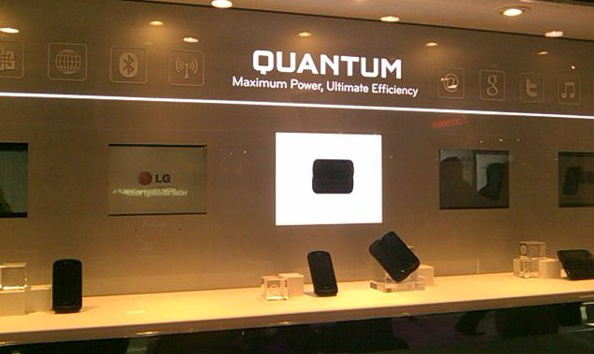 Now, for the record: I LOVE THE LG QUANTUM. I have one, and it’s the first Windows Phone 7 device that I’ve owned and I don’t regret it one bit at all. It’s the only Windows Phone 7 device on AT&T with a keyboard. Done. The battery life is clocked at being at/near the best of all Windows Phone 7 devices offered in any market – US or International – and on any network – AT&T or T-Mobile. Despite providing a slide-out keyboard, the unit feels good in your hand with a good weight and interestingly enough, a cold, brushed metal plate protecting the battery. If the capacitive screen had Gorilla Glass like it’s bigger brother the LG Optimus 7, I’d be in hog heaven because it’d be near-indestructible. USB connection on side, brushed metal plate on the back, large landscape keys on the keyboard, physical Windows/Start Page button. 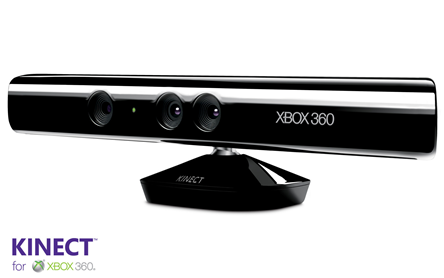 This is the unique ability to transmit stereo audio wirelessly over 802.11g to my Xbox 360 and play the music over my Bose home theatre stereo system. My new phone is a “Zune” and is now fully connected to my living room’s home audio. There’s one application that comes exclusively with the LG Quantum that I want to highlight and that’s “Voice-to-Text”. It’s a simple tool that allows you to speak into your phone and translate your voice to text for immediate use in a SMS Text Message, Email, Memo-to-yourself, Twitter Tweet, or Facebook Status. Yeah. Awesome. And only on the Quantum. So LG? Amongst all the SmartTV stuff, vacuums, washing machines, prototype closet organizers, all of which had a lot more people & floor space dedicated to them… next time, y’think you might be able to spare at least ONE table for your Windows Phone 7 device with a staffer that knows something about it? So I’ve talked about the inequity that exists between physical books and Amazon Kindle’s eBooks. YEAH, SO WHY ARE YOU BITCHING ABOUT WHAT’S ESSENTIALLY A FREE FEATURE? Because I WANT book publishers to be successful. I don’t want to see what happened to the music industry happen to the eBook industry. Very simply, the plodding & unfriendly manner in which book publishers seem to be adopting digital technology is symbolic of other media industry leaders that just… don’t… get it. If you don’t make it easy & desirable to buy digital versions of your content and make it flexible enough to use in place of the prior/legacy format, individuals will STEAL YOUR CONTENT. But I won’t respect anyone that tells me that I have to pay the same amount of cash for an eBook as a physical paperback, yet I can’t loan that book to my friends (one at a time) without restriction. Meanwhile it is TRIVIAL to disable the copy protections used to protect Amazon Kindle books from being freely copied. Add to the fact that each book is generally only about 1MB in size, and you can see how incredibly easy it would be for piracy to occur. Sure sounds to me like the same situation the music industry was in & how they got decimated by MP3 piracy because they refused to bring parity between digital media & CDs. People that accept loaned Kindle books are limited to 14-day loans after which, the book is disabled on the recipients device and is accessible again on the loaner’s device. This might be a bit harsh a time limit considering real books have no time limit on them. Also – what if the book is War & Peace? 14-days just doesn’t seem to cut it, does it? 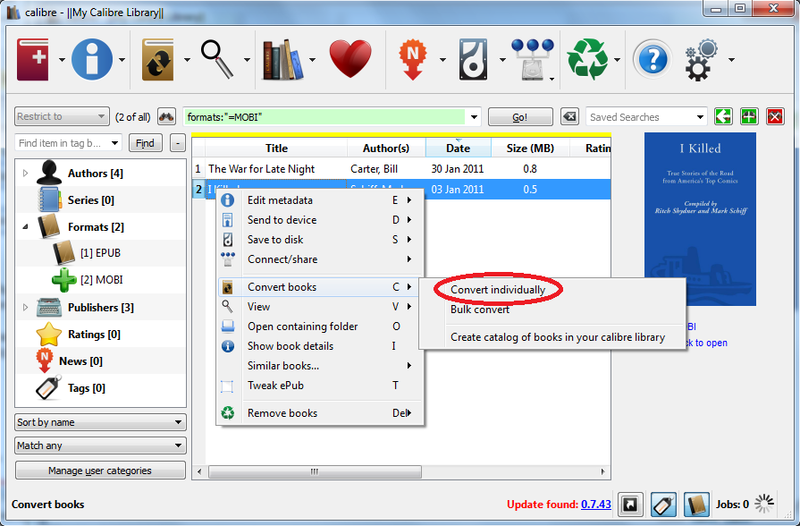 The book gets disabled on your Kindle or eReader while the it is on loan. This is completely fair. The book is being loaned out to someone else. You shouldn’t be able to read/use it while someone else is in possession of the book right? I eBook per person. Let me repeat that: You can loan a book out once and only once in your lifetime. Once the loaned book is returned to you, you will find that you can’t loan it out any more to anyone, period. Ever. As if the book were now super glued to you and couldn’t be lent out to anyone ever again. Put simply: Get to parity soon, book industry. Really soon. Because if you don’t, prepare to be looking at losing 90% of your revenues today because the book pirates are going to eat your lunch. The music industry took their sweet ol’ time with getting to a customer-friendly means of distributing their product electronically and eventually, they had to resort to unrestricted MP3 because their no one would use their old ultra-restrictive DRM-based systems. I’m not saying DRM-based systems can’t work – to the contrary, I think they can and should. But you can’t limit usage unreasonably to the extent that people can’t see the parallels between physical media & e-Media. And no value-add that you put on the e-Media versions of your product will compel people to choose it over print. They’ll simply illegally pirate the e-Media version and purchase the physical version. If they purchase the physical version at all that is. Is there a number of times that you can loan a book out? BARNES & NOBLE BULLETIN BOARD: It’s official — You can only loan a book out once. Yup. Amazon now has a feature for Kindle book buyers that allows some Kindle books to be temporarily shared with other people. As I mentioned in a previous post, I strip the DRM off any Kindle eBook I buy not for the purposes of file sharing or piracy but to enable me to privately read the eBook on my Windows Mobile 6.5 device – a Verizon TouchPro 2 which lacks a Kindle client. My TouchPro 2 is a phenomenal eBook reading device and I’ve plowed through a lot of Kindle content on it. In theory, I could hand the DRM-free file over to whomever I wanted to “share” the book, but I don’t – that’s piracy & theft. But the files are .MOBI files (a popular eBook format acquired by Amazon) that are usually anywhere from 500k to 3Mb in size. Note that this means, most eBooks aren’t even the length of a typical .MP3. While I think this “eBook lending” feature is a good step in the right direction, it doesn’t look like this is going to be very useful any time in the near future. And when I say it’s a step in the right direction, I don’t mean by Amazon: I mean by Book Publishers like Harper Collins. However if they don’t get serious about moving more aggressively in this direction they’re going to find themselves losing 90% of their revenues… just like certain other media publishers. Remember your SAT relational questions? If so, the above statement should make the issue abundantly clear. Music publishers, slow – nay GLACIAL – to accept electronic distribution of music as a means of selling music, desperately clinging to old, user unfriendly methods of controlling distribution. To be clear: I HAVE NOTHING AGAINST DIGITAL RIGHTS MANAGEMENT (DRM). I’m not one of these anti-IP protection psychos that rage on DRM 24/7. I think it’s a perfectly good way to control the distribution of one’s intellectual property whether is music or eBooks. The problem I have is that legacy physical mediums such as CDs or Paperback books are usable in a variety of contexts that aren’t available in their digital forms and vice versa… yet charges the exact same amount of money for the digital version: That’s very sketchy. WHY ARE EBOOKS AS OR MORE EXPENSIVE THAN TRADITIONAL BOOKS? And on top of all of this, there are the claims that the publishing process of eBooks has costs associated with them above and beyond the engineered costs of the book’s original formatting. It’s these ‘additional costs’ that negate the cost savings associated with no longer needing physical distribution of paper books. Sorry. I just don’t buy it. The electronic processing of existing digital master content to create an eBook does NOT cost the same thing as physical book cost-of-goods, creation, distribution, marketing, and warehousing. There is just no way – I reject that notion completely. It’s been my understanding that the actual production & distribution of physical product is always the most expensive aspect of producing a book. Going digital should simply reduce the costs of books – but the publishers control the advertised cost of the book as it’s priced on Amazon. IT COSTS THE SAME AS PAPER BOOKS… OR MORE. It’s weird but electronic versions of books cost the same OR MORE than their paper counterparts. Despite the fact that no physical material is involved, the eBook can sometimes cost more than buying a physical book. Once you’re done with a book… what good is it? Reference? Really? Like you’re gonna refer back to that copy of Dan Brown’s Lost Symbol over and over? No. You want to be able to trade that book or give it away so that it gets a new home and that the investment you made continues to see growth… in the happiness of others that get to read the book on your dime. But without the ability to gift the book to someone else once you’ve read it? No dice. The used book market is LOADED with books that people read and want to sell for pennies on the dollar. But because the process of stocking and distributing used books is so laborious, it’s difficult to accomplish – even by Powell’s and other large resellers/overstock sellers. The digital market is perfect for reselling value. And heck – there could even get a ‘vig’ (tax) on each resale that would be redistributed to both the publisher and Amazon. Maybe if there’d be a 20% vig on the resale of a $5 book (originally $10 book) that would amount to $1 extra for the publisher/Amazon. And that resale could maybe limit the capabilities of the used book – no lending. No bookmarking. I dunno. Something to exhibit ‘wear and tear’ on the digital property. You are currently browsing the Kurt's Thoughts blog archives for January, 2011.